ONE OF THE GREATEST HEROES of the American working class movement! 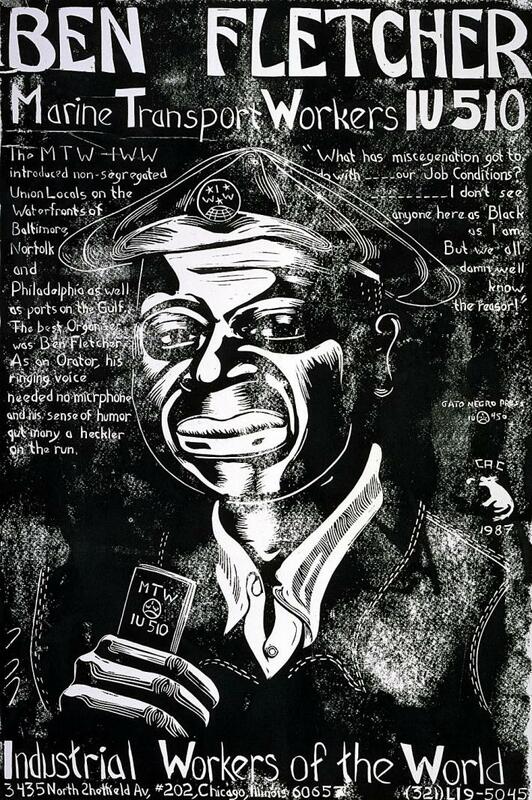 The great African American Wobbly organizer, Benjamin Fletcher (1890-1949), was noted for his brilliant organizing ability and imaginative on-the-job strategies, as well as for his courage, humor, and excellence as a soapbox orator. Not surprisingly, he was one of the IWW’s most admired and best loved figures. Along with a biographical sketch of Fletcher, reminiscences of him by fellow workers who knew him well, and an impressive selection of Fletcher’s own writings and speeches, Peter Cole’s impressive introductory biographical essay also chronicles the ups and downs of the Philadelphia waterfront union in which Fletcher played such a leading role: Local 8 of the IWW’s Marine Transport Workers Industrial Union 510. Finally had a chance to read this article. Some minor complaints here and there. But, on the overall, informative. The stuff about the Philadelphia docks during WWI are informative. Worth the read, regards of the take away about the IWW and the Philadelphia docks during WW1.